The 2016 Whitworth Institute of Ministry will welcome Brenda Salter McNeil, author and associate professor at Seattle Pacific University, and Mike and Sally Breen, a speaker/author duo, to its 41th conference, to be held July 18-22 at Whitworth University. The featured guests and other speakers will focus on the theme “For Such a Time as This: Christian Discipleship in the 21st Century,” and will offer participants five days of fellowship, worship and scriptural teaching. The public is invited to attend evening worship Monday, Tuesday, Wednesday and Thursday nights at 7 p.m. in the university’s Seeley Mudd Chapel. For details of this year’s WIM conference, and to register, please visit www.whitworth.edu/wim. 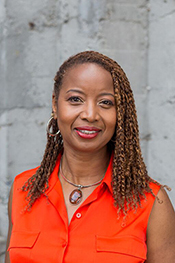 Brenda Salter McNeil is an associate professor of reconciliation studies in the School of Theology at Seattle Pacific University, where she also directs the reconciliation studies minor program. She is also an author and speaker with more than 25 years of ministry experience in the field of racial, ethnic and gender reconciliation. Her mission is to inspire and equip young Christian leaders to practice reconciliation around the world and to build communities that partner with God to bring relational healing and social wholeness. Mike Breen is a speaker, author, minister and entrepreneur who has been a leading innovator in the discipling movement throughout Europe and the U.S. for more than 25 years. He led a church re-plant in inner-city London, and in 2000, under his leadership, St. Thomas’s Church, in Sheffield, England, grew to be the largest church in England. During that year he also launched a team and a movement in Europe that planted more than 1,400 churches in four years. 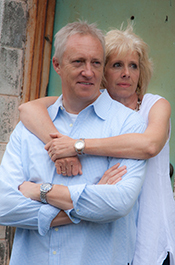 His wife, Sally, is also an accomplished speaker, covering topics for women’s and mixed groups around the world. Mike Breen will lead Convocation each day at WIM, and Sally Breen will provide workshop opportunities throughout the week. During this year’s WIM, the following workshops will take place: Biblical scholar and Whitworth Professor Emeritus Dale Bruner will lead “Biblical Formation: Gospel of Matthew.” Professor of Theology and author Jerry Sittser will head up “Beginnings: How the Early Christian Movement Built a Durable Faith.” Whitworth President Emeritus Bill Robinson will helm “Becoming and Developing Christian Leaders.” Professor of Communication Studies Ron Pyle, along with Campus Pastor Mindy Smith , Colbert Presbyterian Church Senior Pastor Eric Peterson, and General Presbyter for the Yosemite Valley Presbytery George Goodrich, will present “Minds & Hearts Set on Christ: Spiritual Formation and Preaching Enrichment.” Finally, Suzette McGonigal, former Whitworth counselor and wife of Whitworth Director of Church Engagement Terry McGonigal, will lead a track for the spouses of pastors. For more information on speakers and their program tracks, please visit the WIM Summer 2016 Adult Program page. Margaret Claassen Cosby, marketing and events coordinator, Office of Church Engagement, Whitworth University, (509) 777-3275 or oce@whitworth.edu.